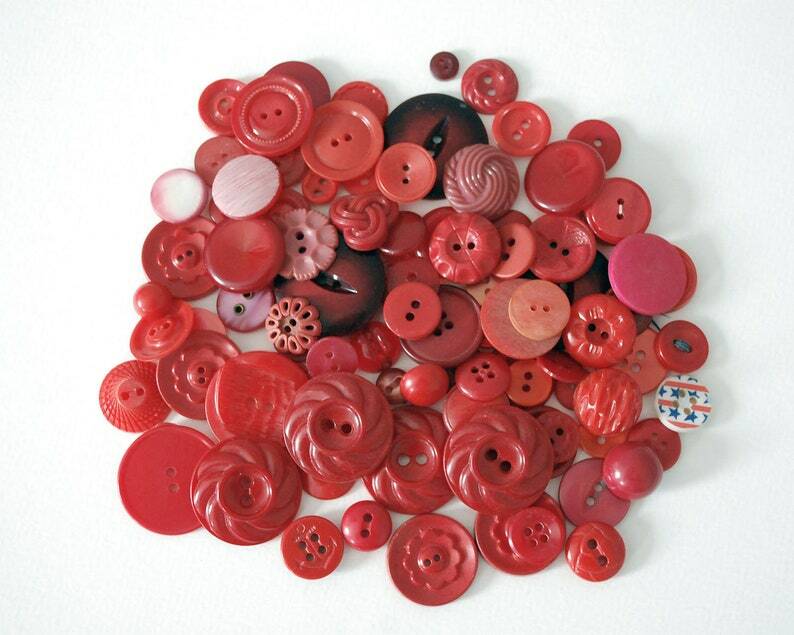 Nice lot of 100 vintage red plastic buttons, mostly mid century to 1970s. These are mostly sew throughs, with a number of shank buttons, and there are some interesting designs with swirls, flowers, a trefoil, an anchor, a dyed mother of pearl, and a red white and blue one with stars. There are some darker maroon buttons, some that are translucent, and a few pink or coral. Many are two or more of a kind. 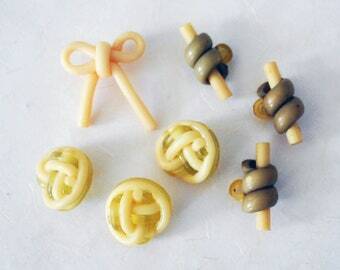 These are perfect for a craft or sewing project or to add to a collection. Most are in very good condition. All are still usable.